A strong training potential for your restaurant could be its take out service. There are plenty of people willing to spend a little extra for delivery fees and that means getting great food brought right to their front door. You have to make it easy for customers to order by having a high quality menu that is up-to-date and accurate. There are many online delivery sites like Open Menu, GrubHub and Uber Eats that can help you set up your delivery business. It’s great to use these “outside contractors” because it means you won’t have to take anyone away from your staff. The goal of your restaurant should be to bring in new business as much as you maintain your regulars. One way to do that is to offer coupons and discounts. There’s a lot of competition for food dollars and these kinds of incentives can help you break through that competition. If your restaurant caters to a lot of business professionals, then you should set up a fishbowl business card giveaway. This is where customers drop in their business cards and you crawl out a “winner” once a week. The price can be date night at your restaurant, happy hour drinks or anything else you want to give away. It’s a lot of fun in the added bonus is you’ll be able to add a bunch of emails to your restaurant mailing list. There is an amazing amount of fresh produce all around Dayton. You should be partnering up with several of these farms to get your produce, dairy and meat. This will allow you to proudly advertise that you are using local source ingredients. That is a very effective marketing tool for a lot of consumers. It will also make your food taste even better! Once those new customers start rolling in you want to make sure your maintain your high standards. Junk King Dayton can help with that goal. These are the junk removal professionals who will dispatch a team of capable movers to your business to help you cart away all that overflowing rubbish. Get rid of old furniture, appliances and other clutter in a single session. 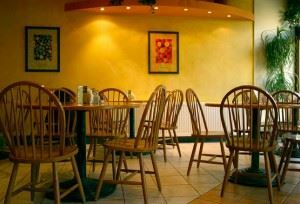 Your customers will appreciate a clean restaurant and Junk King Dayton can certainly help with that. This entry was posted in Dayton Junk Removal and tagged junk, junk King Dayton, restaurants on July 24, 2017 by Junk King. Last updated July 24, 2017 .